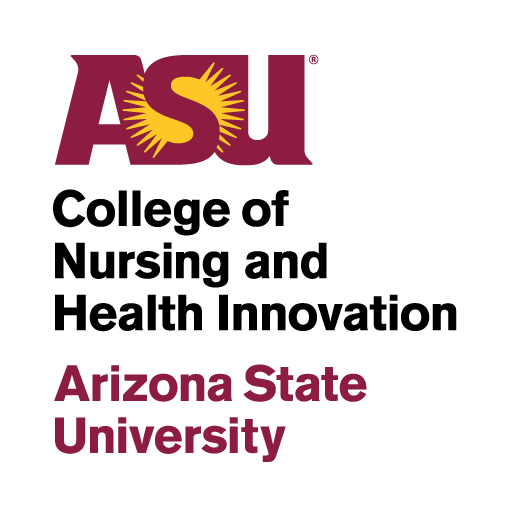 Basic Information: Arizona State University’s (ASU) College of Nursing and Health Innovation is located in Phoenix, Arizona at the Downtown Phoenix Campus. The Postbaccalaureate Clinical Nursing Program (PBCNP) is designed for students who previously completed a bachelor’s degree at a regionally accredited institution in a discipline other than nursing and now wish to earn their Bachelor of Science in Nursing (BSN). Placement in the PBCNP is competitive and a limited number of spaces are available. Steps to Apply: Interested students apply online with ASU’s Application for Admission. On the application, prospective students should apply to either the community health, integrative health, or health care coordination major. Once admitted to ASU, students will meet with an academic advisor and complete any remaining prerequisite courses before applying for competitive advancement into the clinical nursing program. If students are entering ASU with all nursing prerequisites complete, they will apply for competitive advancement before enrolling in courses at ASU. If selected for advancement into the PBCNP, the student’s major will be changed to Nursing, BSN. Space is limited and placement is not guaranteed. Program Length: This accelerated 12-month BSN program is offered in a year-round format (including spring, summer and fall terms) and begins every January. Students must have eight of the ten prerequisite courses completed, including all four of the laboratory sciences, with grades posted on transcripts and received by ASU Admission Services by the September 1 application deadline. The remaining two courses must be completed, with grades posted on transcripts and received by ASU Admission Services by December 31 to being the program in January. Prior Classwork Information: Students must have a 3.5 GPA or higher in the prerequisite courses to be eligible to apply for the PBCNP. Once a “C” grade or better is earned in one of the prerequisites, that course cannot be retaken to improve GPA, although there may be options to replace grades through an advisor approved replacement course. Application Information: Interested students apply to ASU as a community health major. ASU undergraduate admission information can be found here. Once a student is admitted to the university, s/he will meet with a nursing advisor to determine readiness for the upper division clinical nursing program. Once readiness is determined, students will submit the application for competitive advancement into the PBCNP by the September 1 deadline. By the deadline, applicants must have completed a bachelor’s degree in a discipline other than nursing from a regionally accredited institution and have completed 8 of the 10 prerequisites. Additional information on applying to the PBCNP can be found here. Students who have a bachelor’s degree can choose to also apply to the Traditional Prelicensure Clinical Nursing Program. You can choose to apply to one or both of the programs. Students applying to both programs must meet the prerequisites for each program. Admission Tests: PBCNP applicants must take the TEAS prior to the September 1 nursing advancement application deadline. It is strongly recommended that applicants take the exam through ASU’s University Office of Evaluation and Educational Effectiveness. For tests taken outside of ASU, applicants must contact ATI Testing to request that an official transcript be sent to the Student Academic Services Office.